It was only minutes before Outlast 2 made me turn away. I wanted to close the game, turn off the PC, and go out into the sunshine. I didn’t do any of those things. Instead, I pushed on into the dark. I went on to meet my monsters. This is our Outlast 2 review. Outlast 2 is the sequel to the creepy asylum stalker I came to love in 2013. Like that game, it revels in dark and helpless places. There is gore aplenty; violent, graphic deaths and heaps of viscera, to say nothing of the human horrors around every corner. If you had asked me back then if i thought the series could get even darker, I would have scoffed. I would have been wrong. What makes Outlast 2 so effective is how it combines the seen with the teased. It plants seeds of the horror and repulsion early on and waters them throughout the experience, mastering the slow reveal to oppressive effect. As a horror game, Outlast 2 is an unquestionable success. 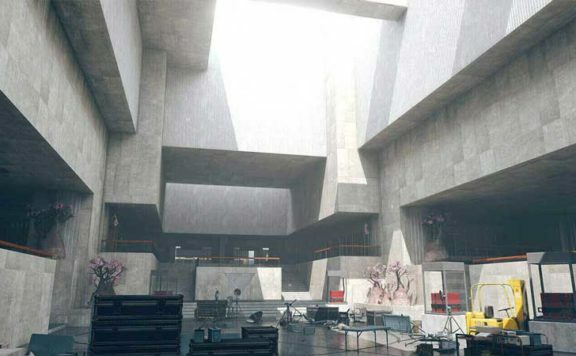 It masterfully builds its claustrophobic atmosphere while also being larger and more expansive than its predecessor. The jump scares are frequent, but its the slow creeping and the frantic fleeing that couch the experience in progressive dread, and it’s all experienced through the lens of a camera. Things start with a crash. Journeying into the empty vastness of Arizona, you’re sent with your wife to report on the murder of a young woman who was mysteriously killed. You are the cameraman and your wife is the reporter, and when your helicopter goes down, your wife is missing. With only a nightvision camera, a few replacement batteries and a pair of bandages at your side, you venture forth into the most nightmare inspired farming village this side of a Laird Barron story. Like the original, you experience the world in the first-person and are utterly helpless. Everyone seems to have been expecting you, this stranger from the sky, and everyone wants you dead. Your only options are to run and hide; hide in the grass, hide in a closet, hide under the bed, just hide, because being spotted is usually certain doom. Enemies are fast and you’re not resilient. Outlast 2 is also a much more open game, which makes breaking line of sight and escaping harder. You’re expected to learn from your deaths, but the sitting through them is painful. They’re graphic – blades in heads, spikes through chests – and cringe inducing. At least at first. More than I care to admit, I found myself frantically running, searching for the next place to hide, only to die, and reload, and die again multiple times over. 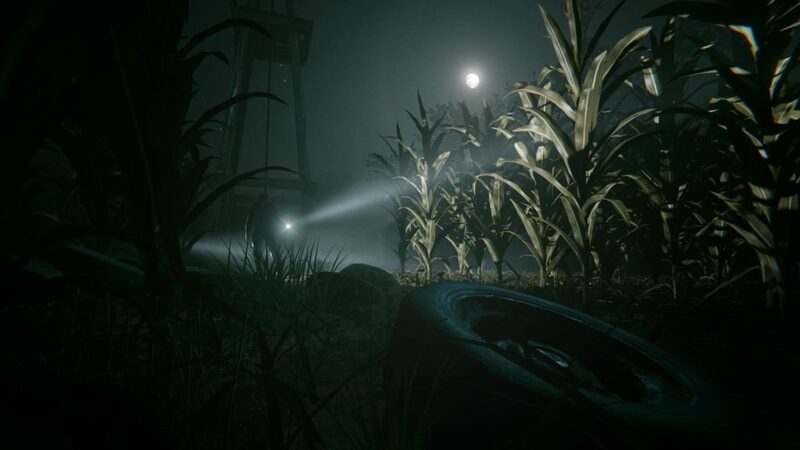 Like the first Outlast, much of the game is viewed through the lens of a camera, and in huge swatches, peering through the green filter of nightvision. It is excellently atmospheric and the series’ most defining quality, but also obscures your vision just enough to miss escape routes on your mad dashes from danger. It’s makes for mix of ah-ha moments and eye rolls that left me wishing I had some way to defend myself if only to prevent another reload. 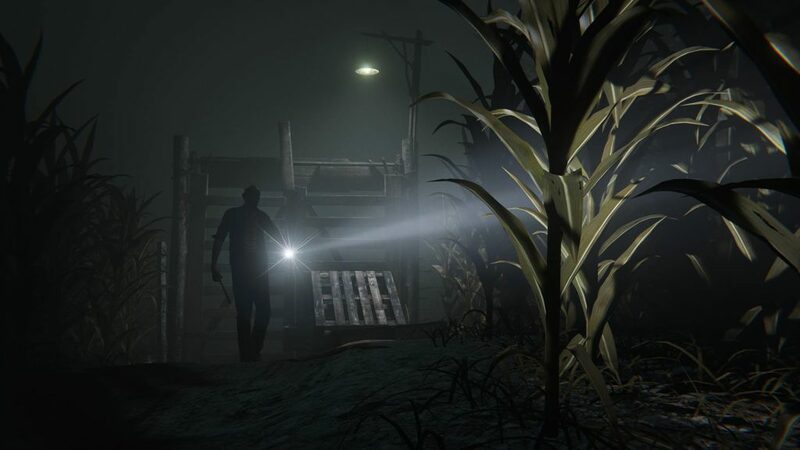 What Outlast does well is elicit the delicious anxiety of second guessing your own survival. Despite the frantic green-filtered chases that resulted in reloads, even more had my heart absolutely pumping and creeping ever forward to see what depravity lay around the next corner. And depravity is exactly what awaited. 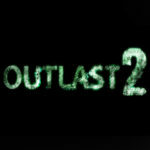 Outlast 2 is a prime example of what a sequel should be. It retains so much of what made the original excellent while simultaneously elevating the experience with smart additions and refinements. It carefully balances its most useful mechanics with sacrifices, near universally through additions to the camera. 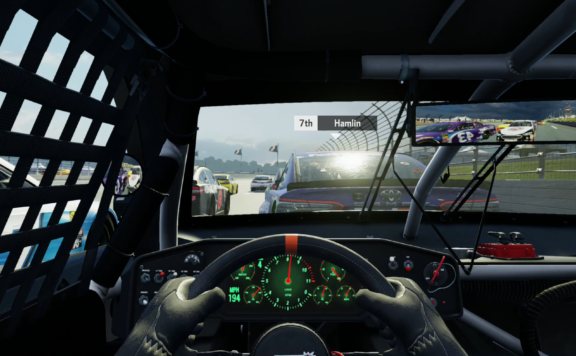 One of the best expansions from the original is the extra functionality of the camera. It has nightvision, of course, but now also includes a microphone to narrow down the location of enemies. Using any of these features wears down the battery, however, and they’re sparse in the environment. More than once, I found myself in the dark, battery-less, wishing I hadn’t overused that microphone moments earlier. The camera also records key moments throughout the game that you can re-watch later with Blake’s narration. It’s a small but important addition that not only catches you up on the story if you’ve been away, but also gives a documentary-like vibe when watched in sequence. The camera also captures stills of any notes you come across, which are just frequent enough to warrant going back and re-reading them to understand more about this cult that’s out to kill you. Despite the almost photorealism of the game’s environments, the story itself takes too much too long become draw you in. For several hours, it’s almost pure cliche: radical Christians led astray by a leader who hears from God. Except that the leader everyone kills for is as slovenly a schlub as I’ve ever seen and his “gospel” is laughably vulgar. People would kill for this guy? After what the hell is happening? That is the hallmark question of the game’s first chapter. That doesn’t make its early moments bad, mind you. Just cliche and a little off the deep end. 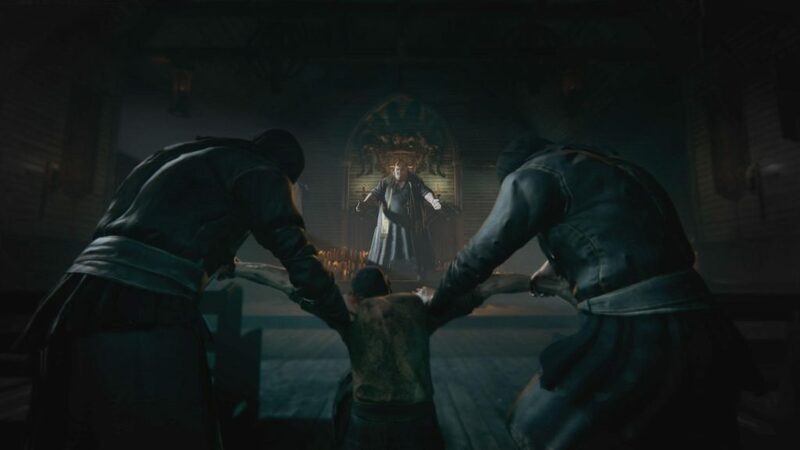 Forgiving a story that leans a bit too heavily on its forebears, Outlast 2 is an excellent horror game. It’s frightening, repulsive, and filled with the thrilling anxiety of the best games of its type. It does exactly what a sequel should. 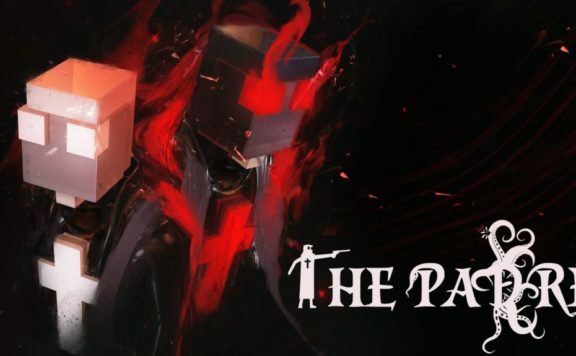 It delivers on all of the refinements and expansions you would expect to find three years from the original; and though its larger environments sometimes lead to repeated deaths, they also amplify the dread of being hunted. Outlast 2 made me uncomfortable, anxious, repulsed and frightened, and yet I couldn’t wait to see what it would deliver next. 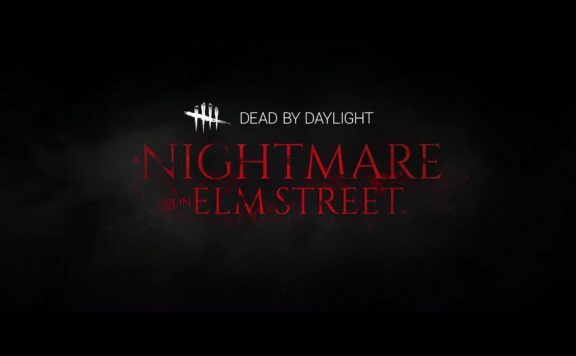 That’s a horror game done right. 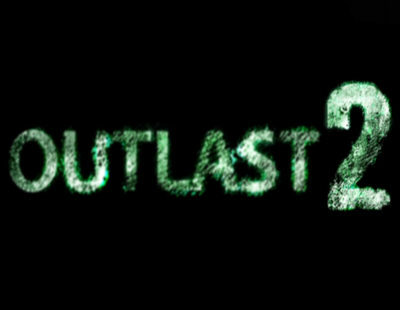 Outlast 2 is a Survival Horror developed and published by Red Barrels for PC, PS4 and Xbox One. 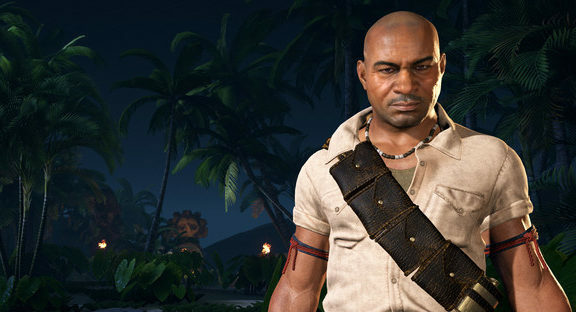 While the events of the game take place in the same universe as its predecessor's, Oulast, it features new heroes and plot. 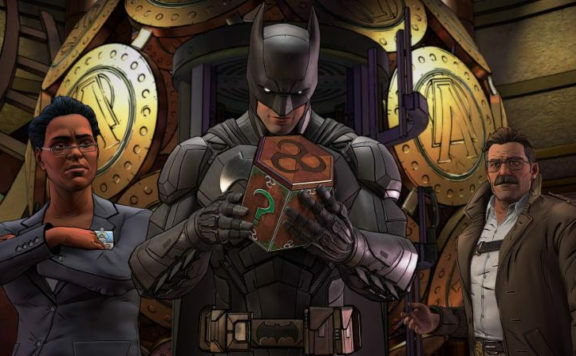 The protagonists of the game are journalists-detectives with a hobby of checking out stories no one else would. This time, however, they're in over their heads.